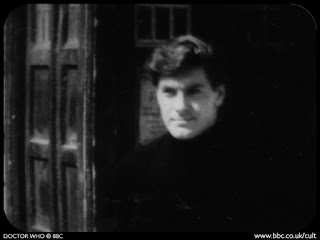 Peter Purves made his first appearance in Doctor Who on 5 June 1965 – but not as Steven Taylor, the companion he'd subsequently play in 45 episodes. Three weeks before Steven's debut, Peter played a small role as Morton Dill, an American tourist who finds the Daleks hilarious. 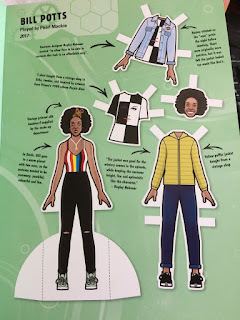 "After we recorded it," says Peter, "Verity Lambert [the producer] and Dennis Spooner [the story editor] took me to the pub and asked if I'd like to be the new companion. It was extraordinary!" William Russell and Jacqueline Hill – who'd played companions Ian and Barbara since the series began – were leaving the series. "Bill [Hartnell] was horrified they were going," Peter explains. "They had this successful show and now there'd be someone else coming into it that he didn't know. Maureen O'Brien [who played Vicki] says she suggested me as we were rehearsing. I could act, I looked all right, I got on with him. And she said it was like a weight lifted from his shoulders. He took me under his wing and suggested me to Dennis and Verity"
New companion Steven was a space pilot from the future, arriving in Doctor Who at a time when the US and USSR were racing each other to the Moon. "People were very optimistic about space," Peter recalls, "and I fitted that. But really the producers wanted a character who knew a lot of what the Doctor knew, so I could help with explaining the stories and take some of the burden off Bill." "He was a damned good actor. He'd made over 70 films, with some major roles. But, and it was unfortunate, he was losing the ability to learn his lines. He couldn't always give the performance he wanted to give and it got to him. He could be rough with other people – but never with me. We never had a cross word." But others did – and Hartnell held forthright views. "The majority of people, knowing all that is known about Bill, would see him as a misogynist," says Peter. "He could be slightly anti-Semitic, homophobic – all those things. But the fact is that as a person you could get on with him. He was a colleague and I worked with him very well. I'm not being an apologist for him. I don't condone anything that he stood for – a lot of it was pretty dreadful. And that's a great shame." Does Peter feel Hartnell is being unfairly judged by modern standards? "No," he says firmly. 'I mean, there's an element of unfairness because attitudes change. But I never subscribed to his views. I found some of what he said shocking even then. But he wasn't going to come round to my way of thinking. There are lots of people whose views I don't like but we can still get on. And Bill and I got on. Once a week he'd treat me to lunch at Bertorelli's, near where we rehearsed. And about once a month, my wife and I would take him out for an Indian meal or something." He sighs. "We learned not to talk politics." If Hartnell's insecurities made him difficult, it couldn't have helped when producer Verity Lambert also left the series. "I didn't like John Wiles as producer," says Peter. "He and Bill used to row. John kept wanting to change things – I'm not sure why, the series was successful as it was. Maureen had been a wonderful companion but she was unceremoniously dumped. Adrienne Hill was announced as the new girl [Katarina, in The Myth Makers] and then four weeks later she was gone. Jean Marsh came in for The Daleks' Master Plan, but for a finite period – she wasn't expecting to be there longer than she was. Then they had Annette Robinson [as Anne Chaplet in The Massacre of St Bartholomew's Eve] and weren't sure whether she would take over or not. Then along came Jackie Lane instead – and she got, what, just four stories? It was a real period of flux." Did Peter feel threatened by this uncertainty? "Of course," he nods. "John wanted to replace me with a cockney boy at one point but couldn't get permission. When we were doing The Daleks' Master Plan, I thought I might be replaced by Nick Courtney [playing Bret Vyon, and later to play the Brigadier]. John tried to get rid of Bill Hartnell too. It was an uncertain time and John was largely responsible for that. I don't have happy memories of working with him." "But," Peter insists, "working on the show was always a pleasure. It was busy and terribly exciting. I'd always wanted to be an actor and here I was being paid for it – on television and getting into ten million homes on a Saturday night! And then there was the calibre of the actors who'd come in to play the other parts. I worked with some seriously important people. It was a wonderful time and we did good work." A lot of Peter's episodes are missing from the archive, but Airlock, an episode of Galaxy 4 was rediscovered in 2011. "Of all the ones to find!" laughs Peter. "I spend most of it unconscious, or saying lines written for Jackie Hill. Why can't they find The Massacre of St Bartholomew's Eve or The Savages? They were better stories and I was better in them." The Savages was Peter's final story. By then, John Wiles had left the series but new producer Innes Lloyd was keen to make some major changes too. "I was very disappointed," says Peter. "Later, I knew Innes quite well and there was no animosity. But I didn't want to go. Bill was furious. I remember him saying he'd make them change their minds. A few months later, he was gone, too." Peter went on to have small roles in series such as Court Martial and Z-Cars. "But I didn't earn enough to keep me, so I was driving trucks and had a job ferrying cars around, like all actors do." In 1967 he joined children's magazine show Blue Peter, which he'd co-present for the next ten years. "That's what people really know me for now," he says. "Once I was on Blue Peter, people would stop me in the street – which they never did when I was on Doctor Who. Since then, I've been a presenter." He's recently started acting again, with the Steven Taylor character appearing in new Doctor Who adventures for Big Finish. "I'm desperate to do more acting,' he claims. Would he reprise Steven on TV if the production team asked him. "No," he says with a grin. "I should be the Doctor."